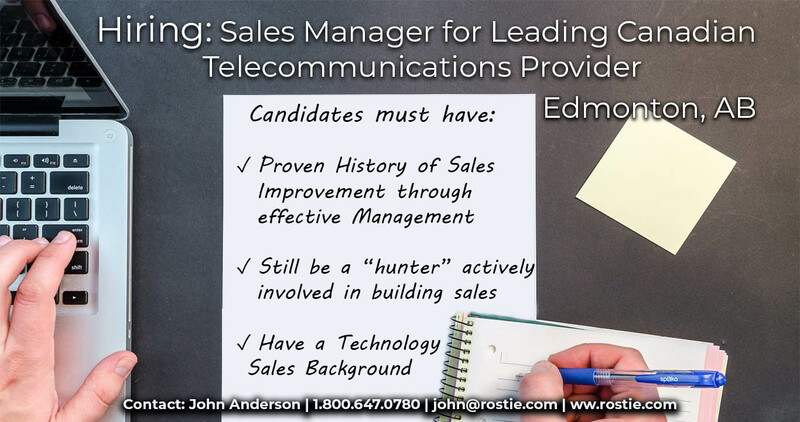 Manager, Enterprise Sales - Rostie & Associates INC.
Our client, a leading Canadian telecommunications provider is currently seeking a Sales Manager, Enterprise Sales in Edmonton. In this position you will manage a team including enterprise sales reps, sales engineer and inside sales support. The ideal candidate will have a proven history of sales improvement through effective management; still be a "hunter" actively involved in building sales into enterprise accounts and have a technology services/solution background.